Once Summer takes her turn through the Solstice, something adjusts within me. It's happened every year, for as long as I can remember. My countenance changes. I don't sleep well. I'm more prone to catch colds (allergies of late summer?). I become a bit more introvert and melancholy. And don't get me wrong, not all of the memories are bad, they just need to be dealt with. Yet there are so many things I LOVE about the season, I really want to embrace it. ALL of it. So this year, as I count my 1000 Gifts (thank you again for your older list Ann Voskamp!) I'm going to be intentional about focusing on the GOOD of Autumn, and EMBRACE ALL OF FALL. The idea is to go beyond the "everything pumpkin" so many others talk about and look for the deeper things. The crisp of first frost, the colors of everything... not just the mums, and even things I have no idea what will be... because I've not lived in this house in this area for this season before! I'm excited to get to do it. These are simple to make and warm and delicious. 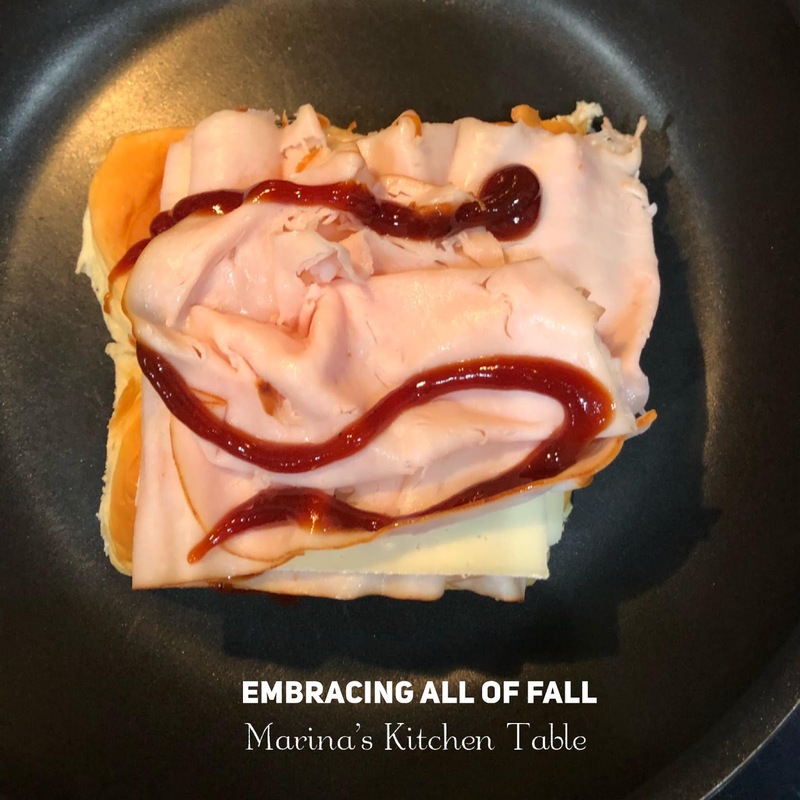 Fall is the perfect time since we're grilling and smoking meats (although this past weekend, I didn't have the grill going... so I used what I had on hand). Still delicious! Use your own favorite meats and cheeses, and discover your own creation! Be sure to share what worked for you in the comments! I can't wait to hear what you did, what sauce you prefer, meat you used, and how it all turned out! I've also made these with a whole loaf of Hawaiian Honey Rolls, cutting in half with a bread knife and grilling on a full sized griddle! I recommend using pulled meat, or meat slices that have been heated thoroughly in a pan before placing in the sandwich formation. It's a bit challenging to flip over to grill the other side, but it can be done! I can usually find the ingredients around my kitchen for these anytime sandwiches, but sometimes I need to plan by purchasing Hawaiian Honey Rolls. Somehow, they just make these extra-special. 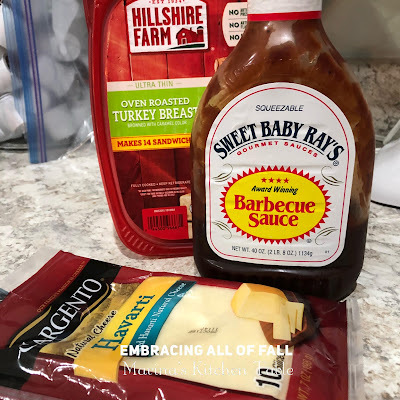 Today I'm using a sliced commercial turkey breast, but these are AH-mazing using whatever "real" smoked meat you happen to have around... my favorite is left-over pulled pork, but you can use whatever your favorite is! 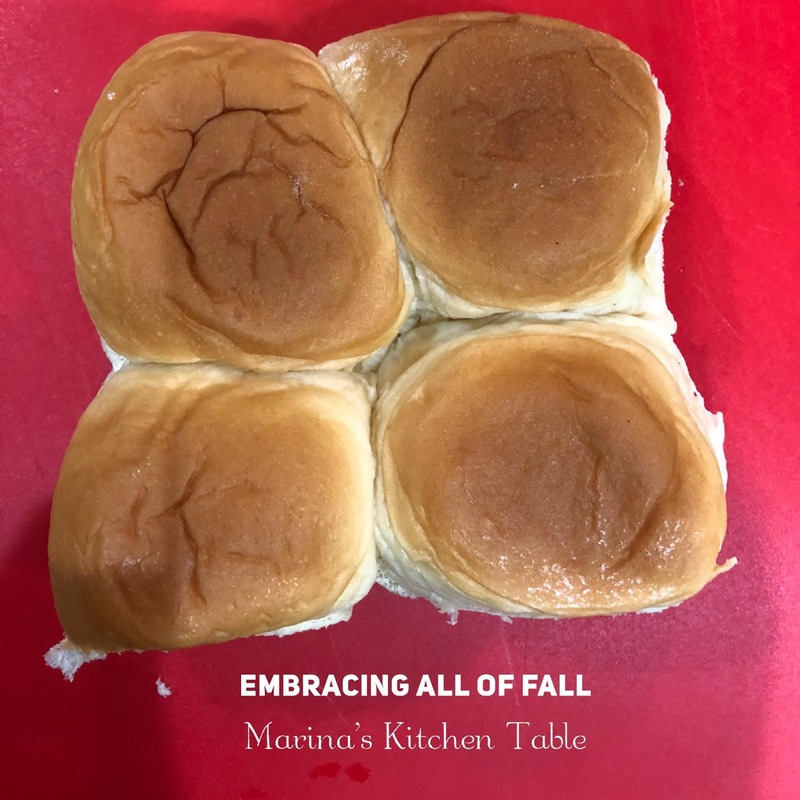 Take a section of Hawaiian Honey Rolls and keep them attached, to make a 4-piece section. You'll slice the roll section down the middle, keeping the rolls attached to each other. It's about the size of a large piece of bread. 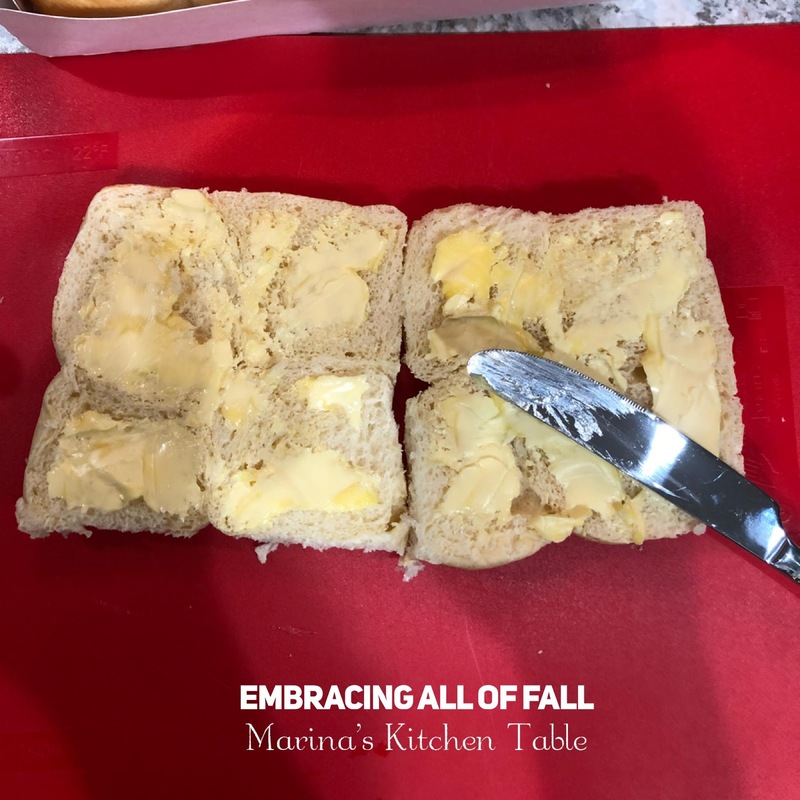 Once the roll section is sliced in two, butter generously on the inside of the roll slice - which will become the OUTSIDE of the sandwich. 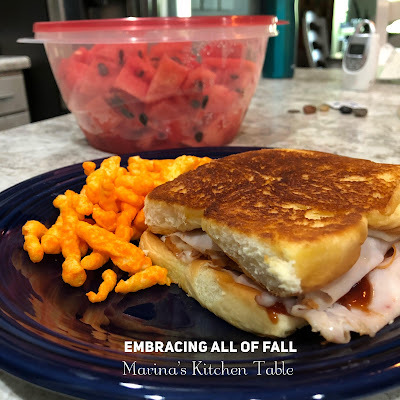 Carefully flip the sandwich over when the bottom is browned and the cheese is melty, repeat until the other side is equally browned. Serve with sides of your choice! Break off a section of rolls, desired size of finished sandwich. Slice Hawaiian Honey Rolls in half, keeping attached to other rolls. Butter the inside of the rolls (which becomes the outside of the sandwich). Place one slice of rolls, buttered side down, in medium heated griddle or frying pan. Layer cheese, bbq sauce, meat, sauce, cheese on top of rolls in pan. Top with other side of rolls, buttered side up. Heat until browned, then flip to heat and brown other side. Remove from pan and ENJOY! !